The long-awaited merger is an effort to reshape health care delivery in Philadelphia—and it probably won't be Jefferson's last. By Esther Yoon·	 7/7/2016, 7:00 a.m. 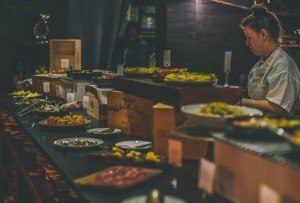 Surrounded by a cheery crowd of medical workers and students, the board members of Jefferson Health and Aria Health signed off on their long-awaited merger today, forming a $4.5 billion organization that they say will improve health care access for patients across the city and in the neighboring suburbs. 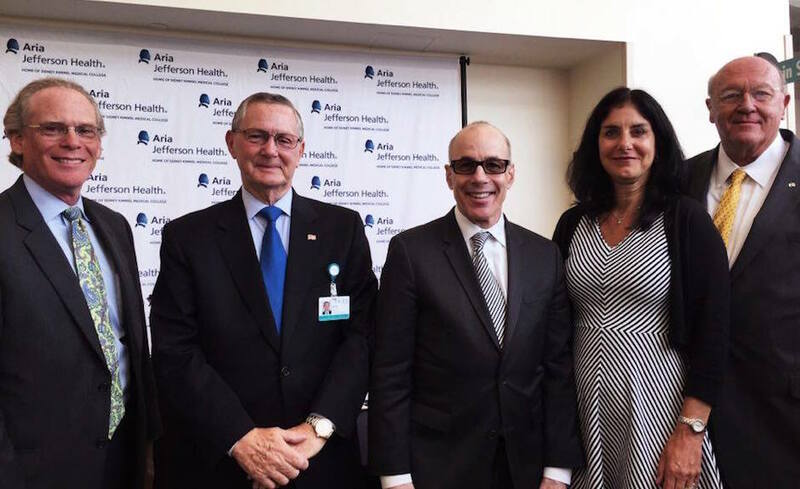 The announcement comes about one year following Jefferson’s merge with Montgomery County’s Abington Health, the first major partnership under the Jefferson’s president and chief executive officer, Stephen Klasko. For Klasko, the mergers represent Jefferson’s push to rethink how to more efficiently provide healthcare to communities inside Philadelphia and those surrounding it. The new partnership with Aria Health, which provides services in the Northeast and Bucks County, consists of 23,000 employees, 5,000 physicians and practitioners, 5,770 nurses and 2,217 inpatient beds. In the months following the completion of the merger, Jefferson says it will focus on providing leadership training for doctors and nurses to adjust to the new model. “Our goal is to get them excited and optimistic about a very different future in existence,” said Klasko. The two hospitals entered into a letter of intent about the merger in October 2015 after two years of strategic planning and partnership exploration. The shared governance model that was established under the Abington-Jefferson merger now allows Aria to designate an equal number of members to the expanded Thomas Jefferson University board. But Jefferson isn’t stopping there. The healthcare powerhouse is waiting to move forward with a definitive agreement to merge with South Jersey’s Kennedy Health System. Klasko also announced a developing partnership with Philadelphia University.